First, cabinets complete. After a slight issue with the cornice, the shelves are now completed, the cookery books back in the kitchen and the cupboards are being filled. I never thought that a kitchen cabinet could be such a thing of beauty. Second, bread and butter. I have recently been reading about the processed food industry (more on this in a later post) and, as a result, I’m very grateful that we have the opportunity to make most of our own food from scratch and buy good-quality ingredients. We know exactly what’s in the bread that Mr Snail makes and our butter is just butter (milk and a little salt). Third, nasturtiums. Some years ago I sowed nasturtium seeds in the garden and I’ve never had to do so again. I know the flowers are rather blousy, but I do love to see them every year (and they look beautiful in salads too). So, that’s what’s making me happy today. How about you? 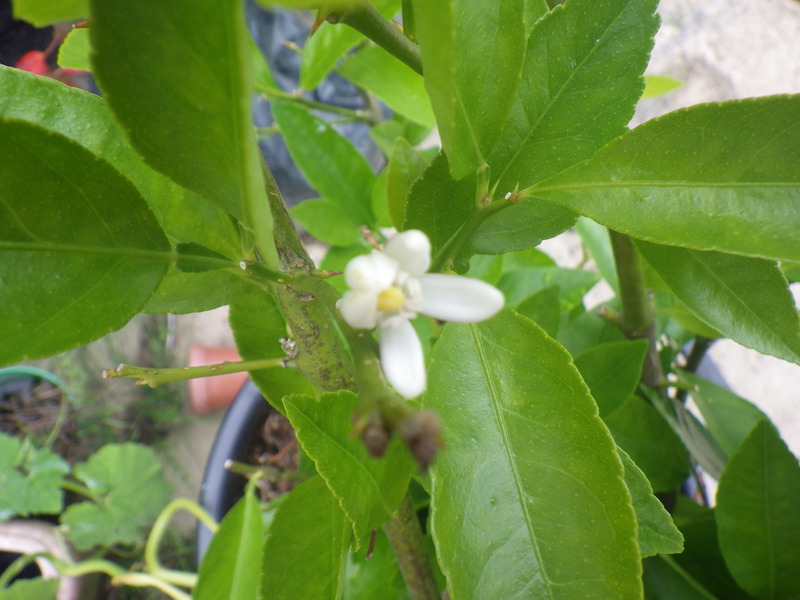 First, fantastic flowers. The carnivores are growing great guns in the limery – some are busy producing new leaves or pitchers, but the Sarracenia leucophylla is concentrating on flowering, The deep red blooms are each atop a very long stem, towering above all the other carnivores. Second, back to blankets. I need a bit of mindless crochet for a while to take my mind off politics, so I have got out the squares and yarn that Wild Daffodil sent me and have started creating a new charity blanket. So, those are three things making me smile and for which I am grateful this week. What has made you happy this week? This weekend the weather here was dreadful – high winds and driving rain, a typical British summer. But was I downhearted? No I was not, because I spent two days felting. I went to Aberystwyth Arts Centre to attend course by the fabulous Ruth Packham, learning to combine wet and dry felting. It was a lovely informal course, with everyone choosing a plant or flower to make and Ruth helping us to work out how to achieve our goal. All the wool we used was British and some came from the Cambrian Mountains, making it very local. 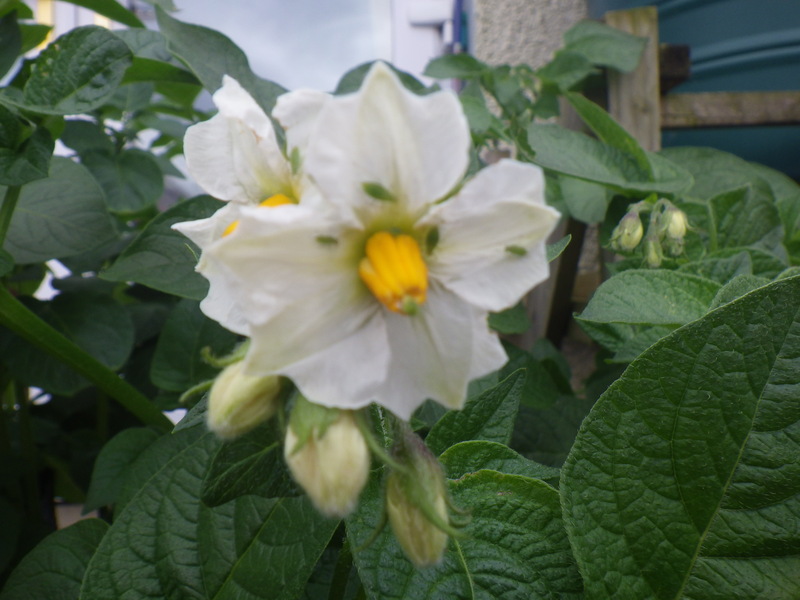 Mixed weather so far this June, but I’m delighted to report that we have some very welcome flowers starting to appear. 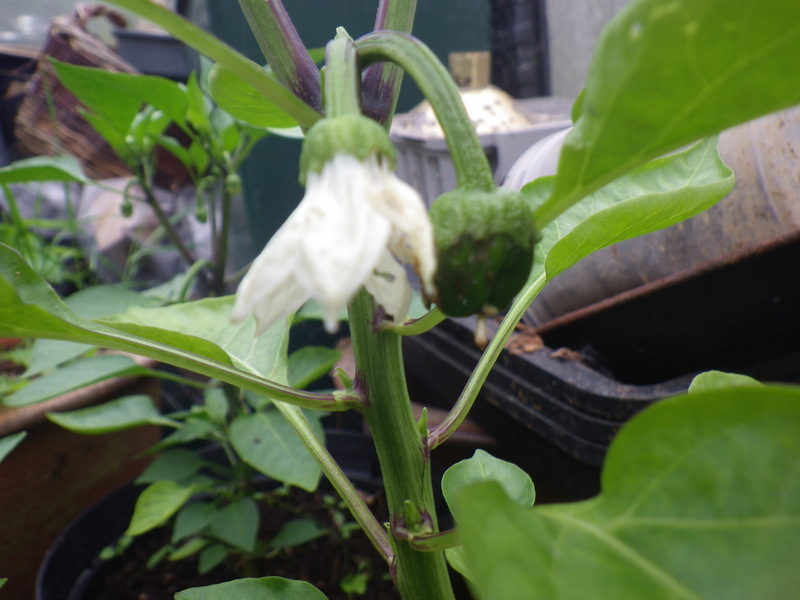 Just waiting for squash and courgette flowers now. Currently, our main crops are lettuce and rhubarb. 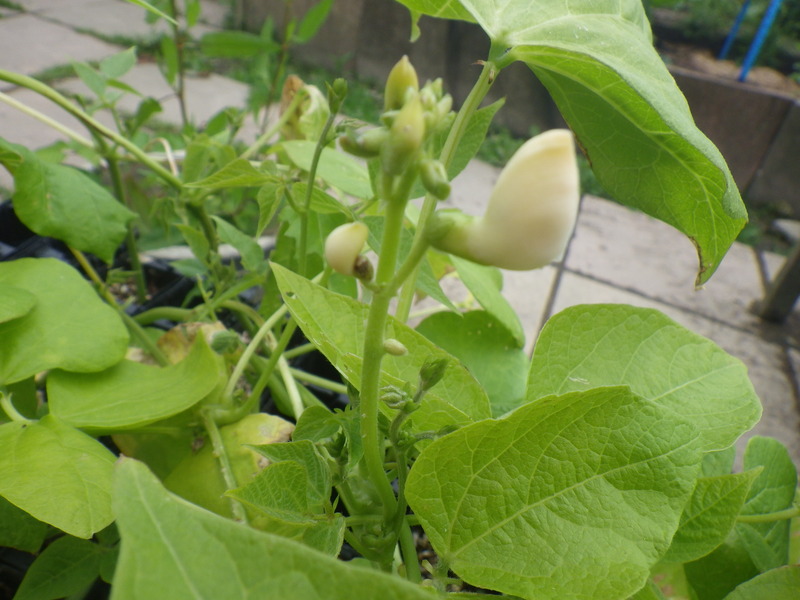 What’s doing well in your garden right now? 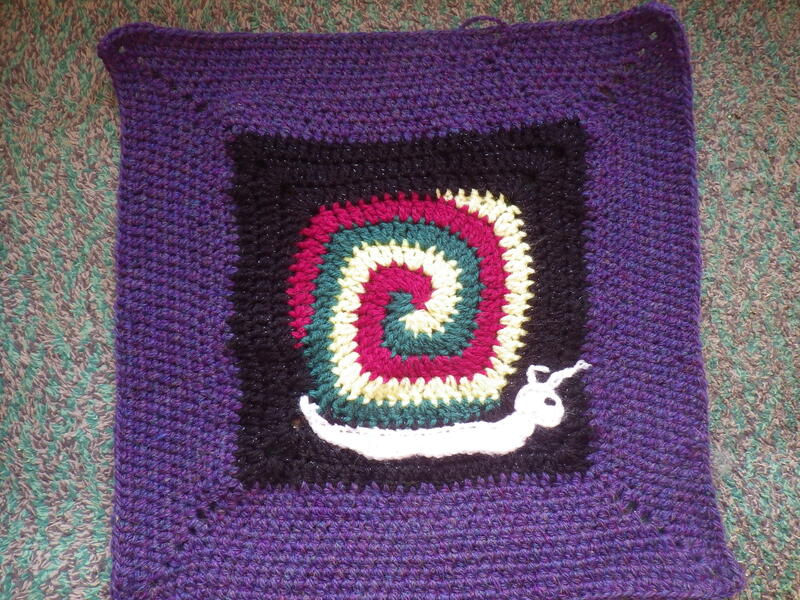 Exactly a week ago, a lovely snail square arrived from ‘Young at Fifty‘. However, in order to include all the elements, she’d had to make the square a bit bigger than the standard ones for the Masterpiece. 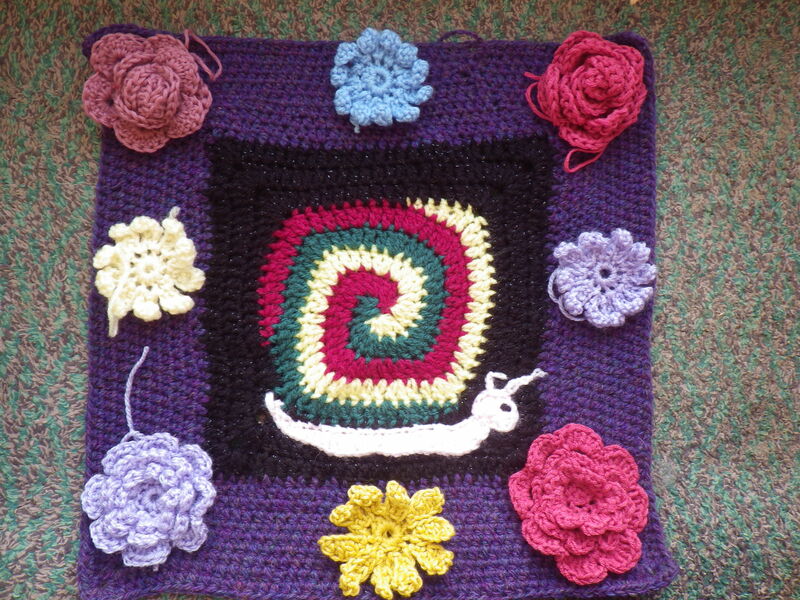 Over the past week, therefore, I’ve been working on creating a special part of the blanket. What do you think? I’m really pleased with it. 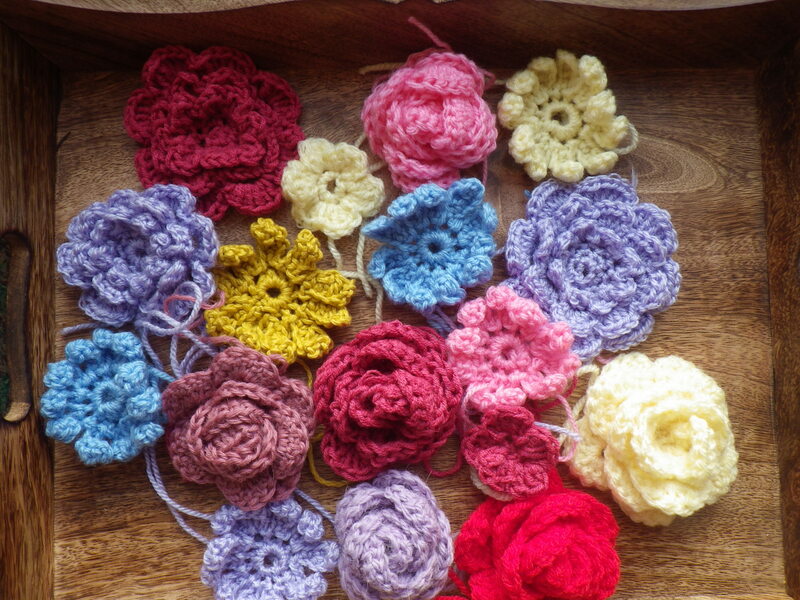 I want some additional embellishments for the Masterpiece, so today I have been playing around with flowers. They are great for using up scraps of yarn. 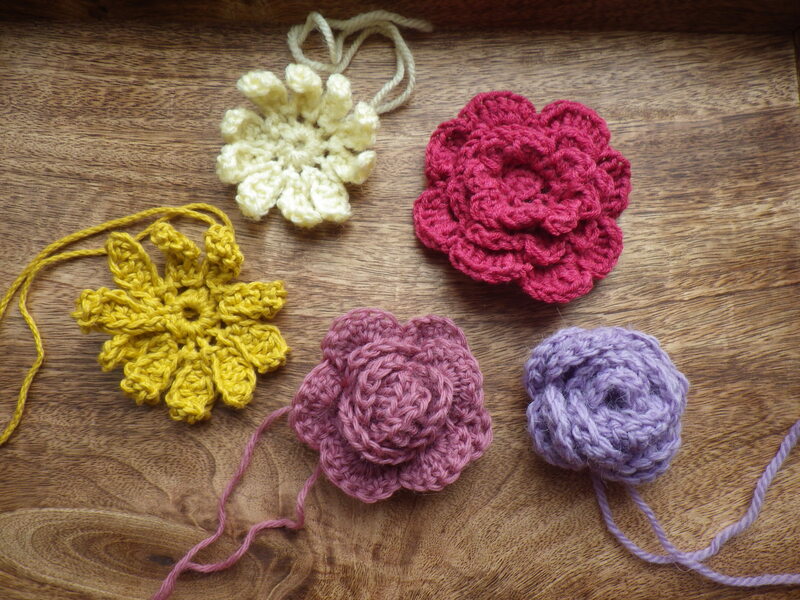 I think my favourites are the roses because they can be varied by stitching them together more or less tightly, but I’m rather fond of that pale yellow daisy (not so much the darker one). I have to confess, though, that the title of this post is a bit of a lie because it isn’t currently raining in west Wales. In fact today we have only had 7mm of rain so far!